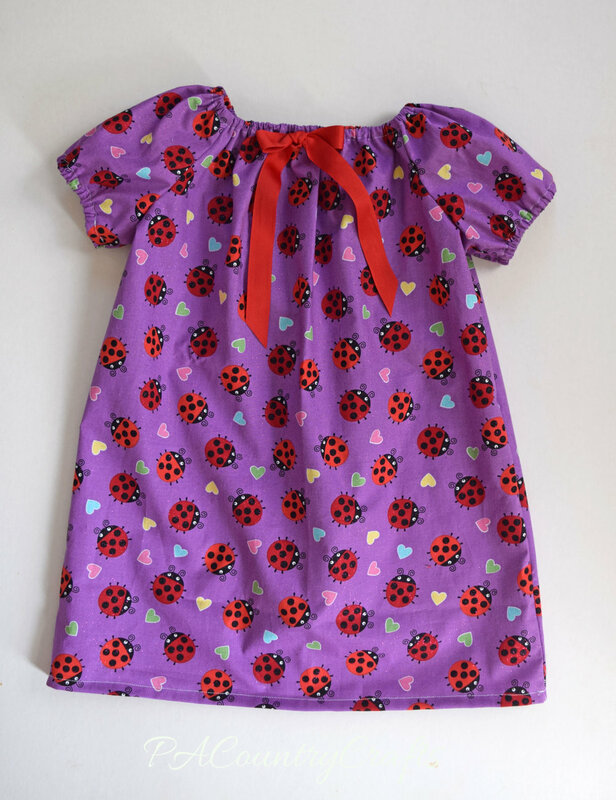 We have made hundreds of peasant style dresses over the years. 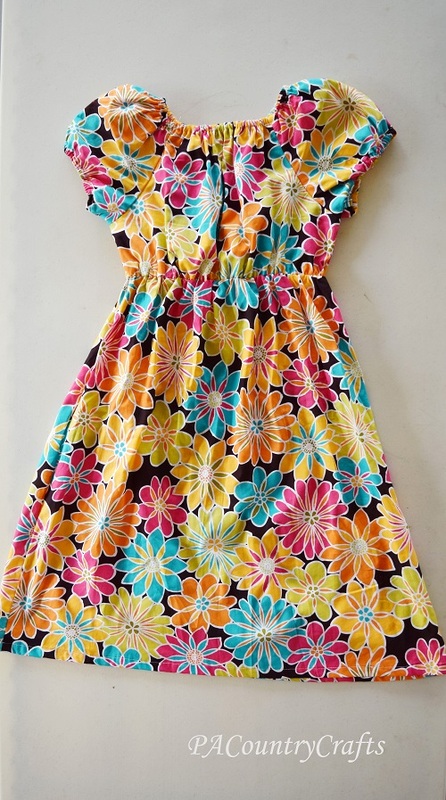 It can get a little boring to make the exact same style of dress over and over. However, there are many different variations of this dress style! 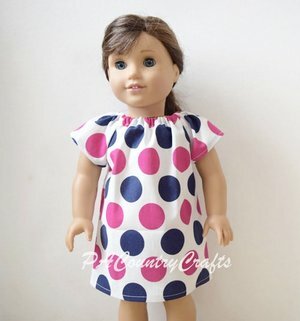 I am going to try to make some peasant dress variations and share tutorials for them on the blog from time to time. 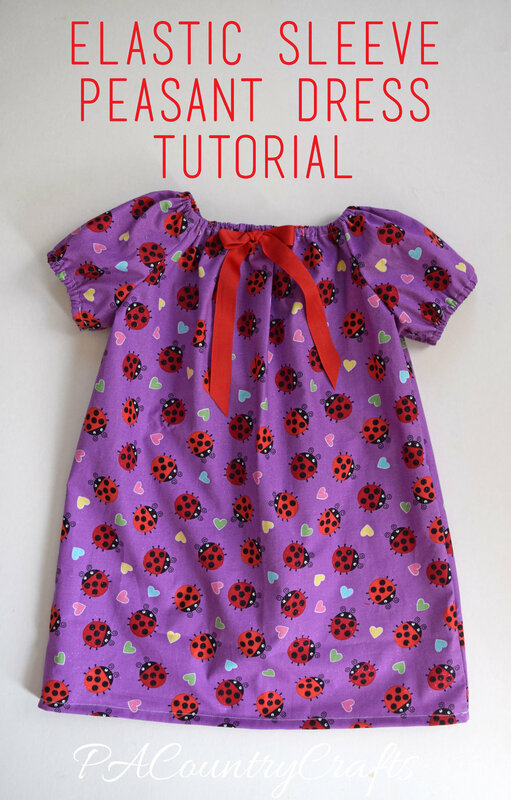 You can find my pattern and cutting tutorial for peasant dresses HERE. 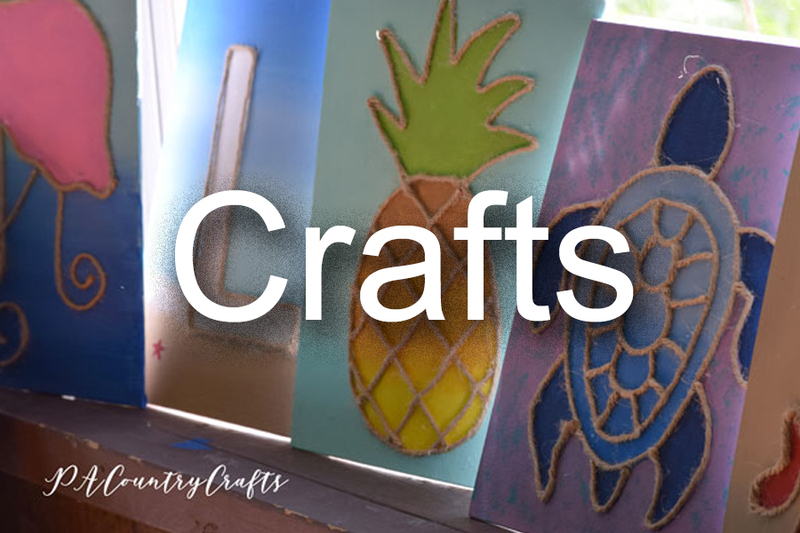 I also have directions for tips to sew them quickly HERE. 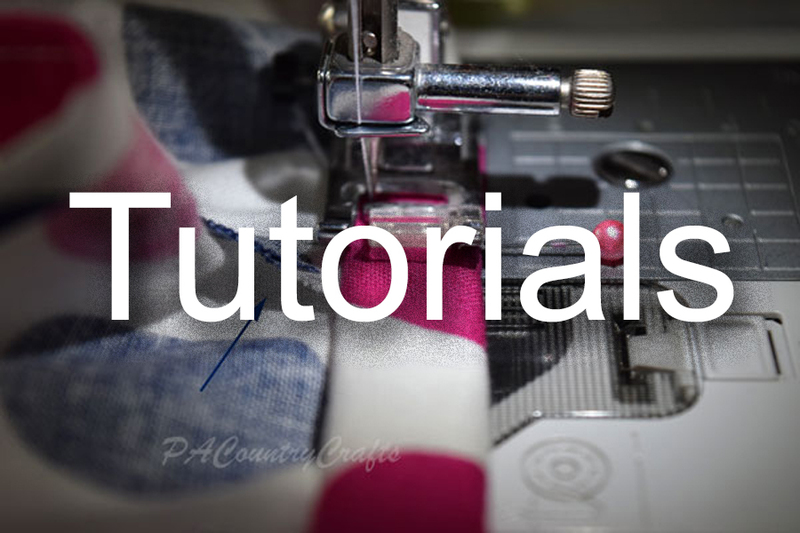 One of the most basic changes that you can make to this pattern is to add elastic casings to the sleeves. That is what I am starting with today. I made some changes to the original pattern to adjust the fit. ~As per the missionaries' request, we make our dresses longer because underwear is not always worn in the places where we send the dresses. 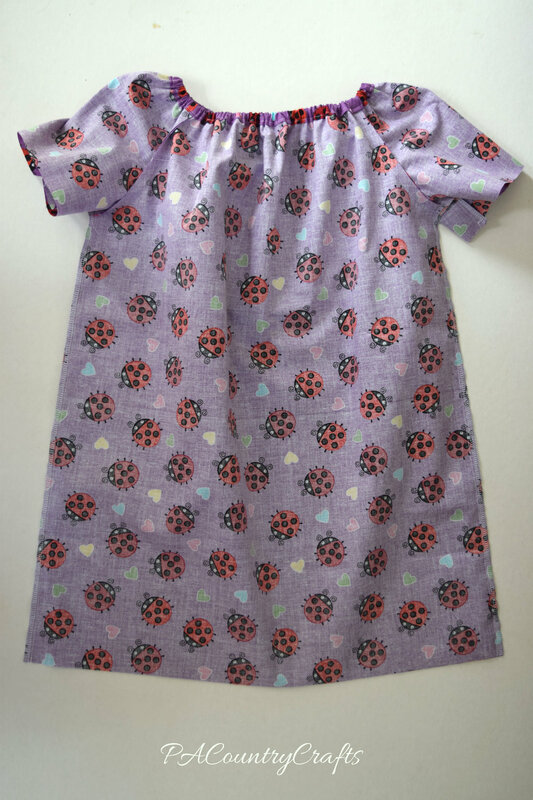 So, I only cut the main dress pieces 26" long for a size 4-6. It is about knee length on my daughter, who is a little tall for a 5yo. 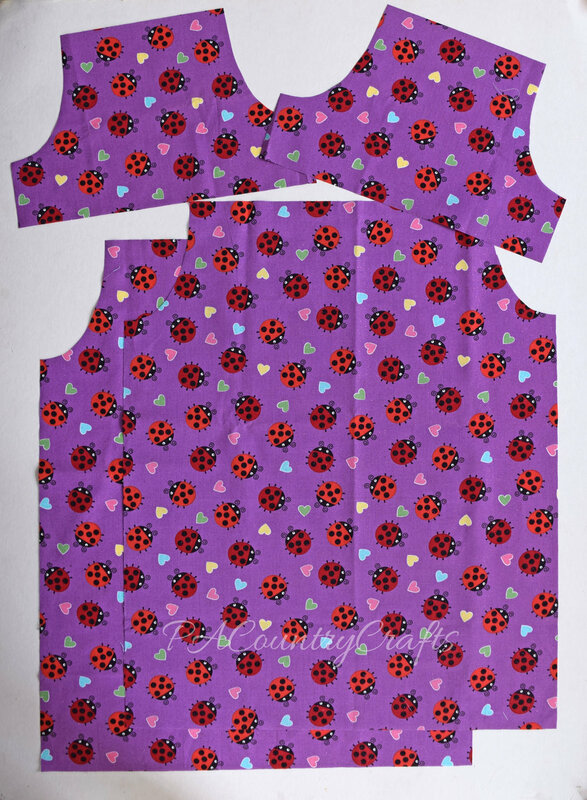 ~I also cut the sleeves a little narrower at 15" so that they are not as "puffy" when the elastic pulls them in at the bottom. You don't have to do this, I just chose to. Start out by cutting your dress pieces. Those directions and the pattern can be found HERE. 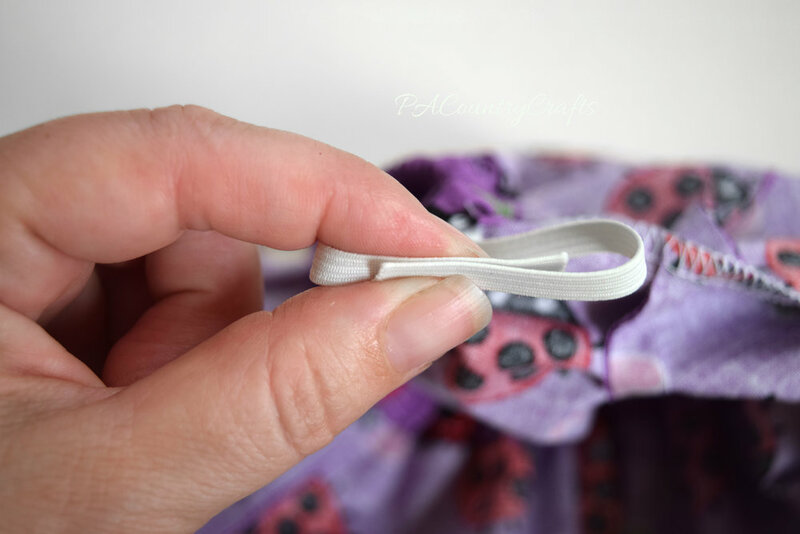 With the dress inside out, fold the sleeve under 1/4". 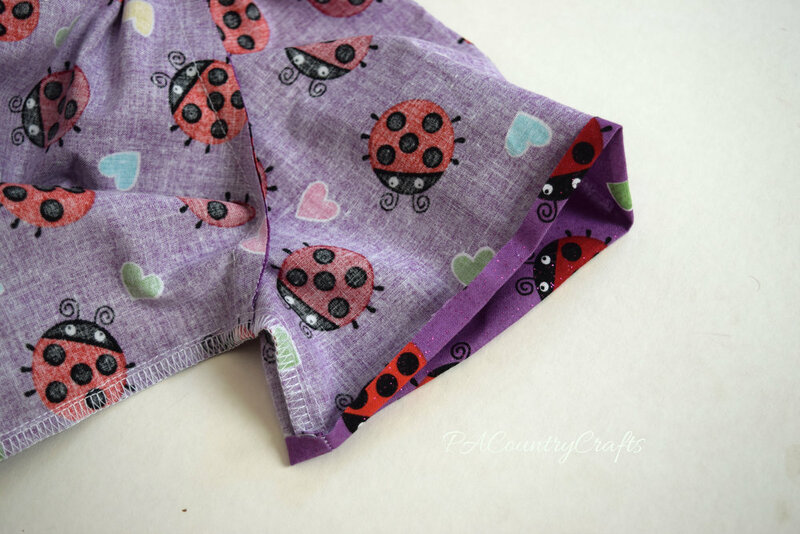 Fold it under again 1/2". 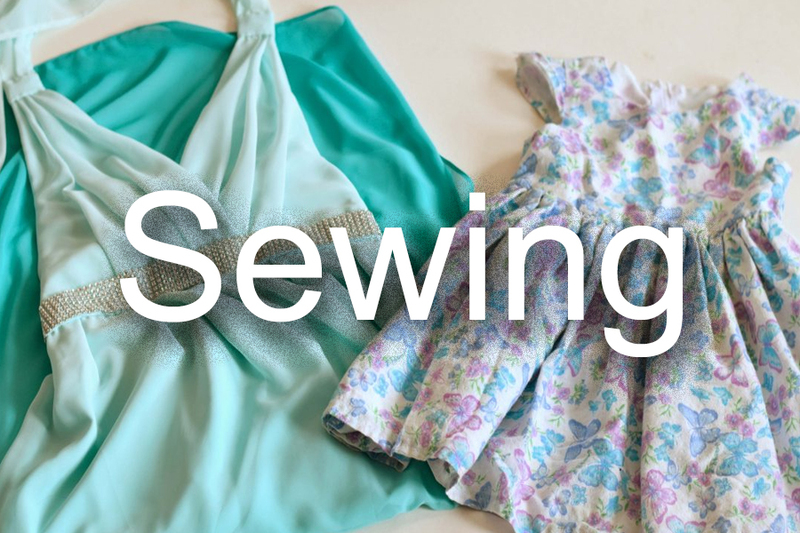 I usually do this as I am sewing. I get it started, stitch a little, and then just keep folding as I sew around. Stitch around the sleeve hem about 1/8" from the folded inside edge. Back stitch at the beginning and end and leave about a 1" opening. Also, make sure to press the seam to one side. 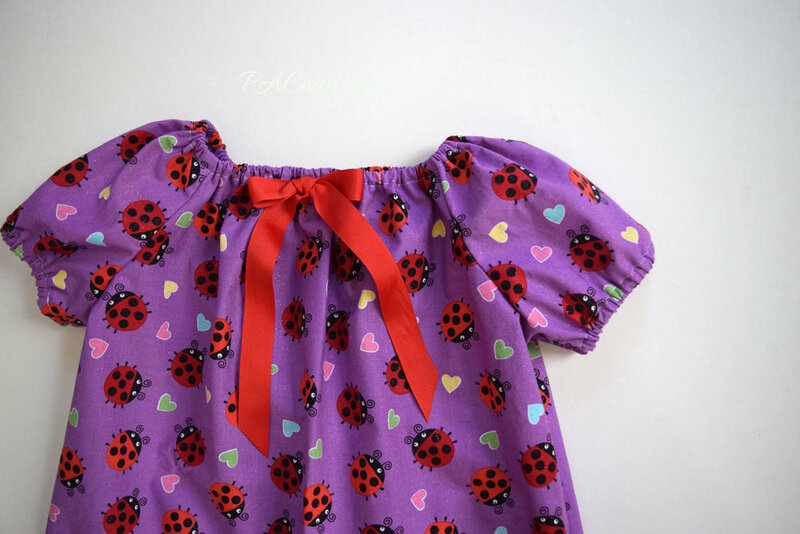 I used 10" of 1/4" wide elastic for each sleeve on this dress. Use a safety pin to guide the elastic through the casing. 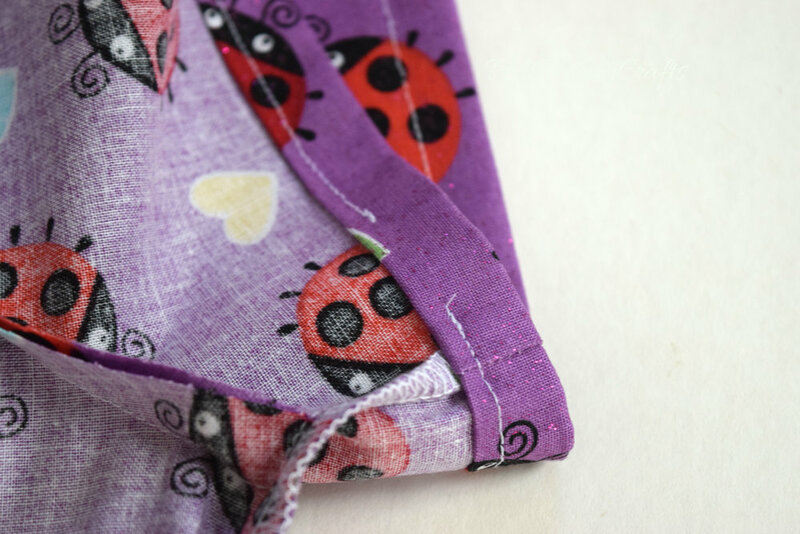 When I put elastic through a casing, I always pin the other end of the elastic to the fabric. It is very upsetting to pull that other end into the casing because you have to start over. Make sure that the elastic is not twisted. Overlap the ends by an inch. Zig zag stitch over the elastic where it overlaps. Sew the opening of the casing closed. Repeat for the other sleeve. This is one of the easiest alterations you can make to a basic peasant dress and it really changes the overall style of the dress. I also made a bow from grosgrain ribbon and stitched it to the front of the dress for a little something extra.